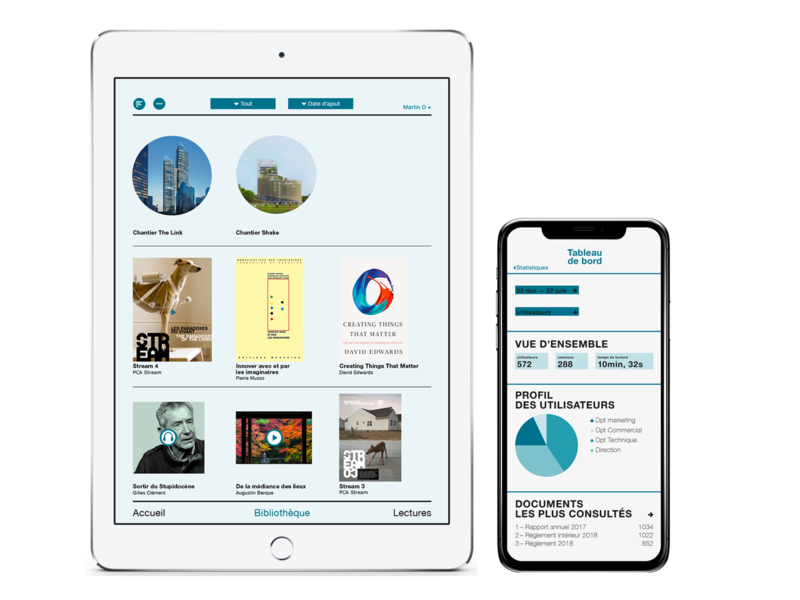 The true mobility is to allow users to read and present ressources wherever with an ergonomic experience, in which relies relies their productivity. Organisations must communicate and coordinate stakeholders by implementing tools that are well-suited to their business issues and that allows them to avoid technological complexity. Lisa Business services are designed for companies that need to manage their ressources in mobility. Discover how Lisa Business manages the dimensions of the mobile ressources management. – adress ressources in a massive and secured manner to its clients, employees and partners through an application. – collect user data to manage your business (dashboard) and export the data to your company’s ERP to enhance your Business Intelligence. Discover Lisa Business functionnalities to answer your mobility needs. 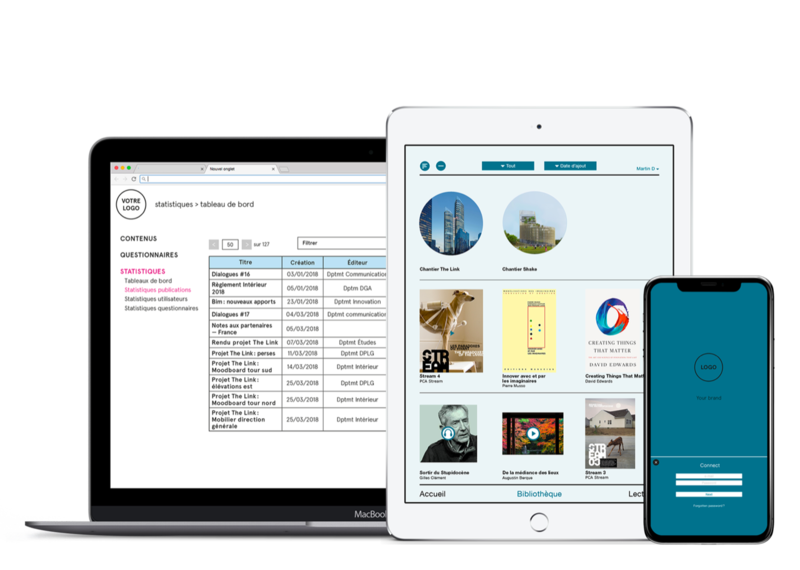 – for users : an agnostic ereading application that follows any users to get access to the ressources distributed by the organisation (working documents, magazines, videos) and to collaborate. – for the company : an administration back office that manages users and contents and present user data harvested within the application. In a technological world where the excesses and frustrations born of closed ecosystems have been observed, Lisa Business offers users the benefit of a greater flexibility thanks to the use of interoperable technology. Research and development is at the heart of Lisa’s differentiation strategy, which implements standards and contributes to their improvement in order to promote the quality and interoperability of digital resources. Discover the technologies used and developed by Lisa Business. Lisa Business is developed by ABM.